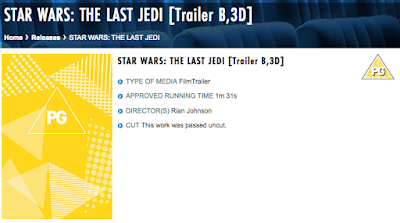 UPDATE: Trailer Track is reporting that the BBFC's classification is for a shortened version of the teaser from Celebration, and NOT an all new trailer. It looks like a new trailer for Star Wars: Episode VIII The Last Jedi is imminent. 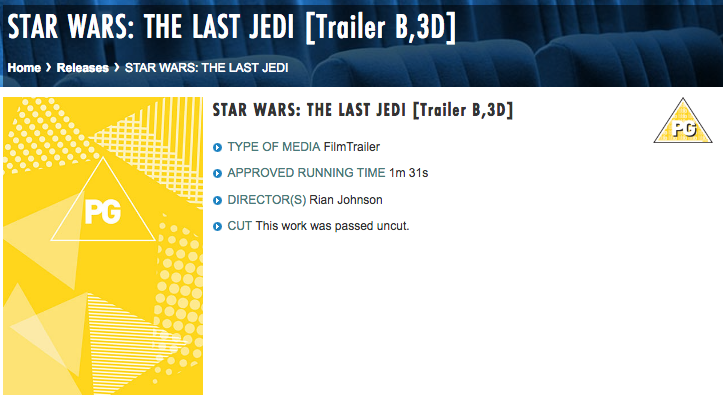 Furious Fanboys spotted today that the British Board of Film Classification has classified a new minute and a half long trailer for The Last Jedi. There are no further details about what the trailer might contain or when it will be released, though speculation has immediately pointed to the two major conventions next month. Either D23 Expo in Anaheim, taking place July 14-16, or San Diego Comic Con, taking place from July 19-23. If we follow the trailer release pattern from the previous films, we got behind the scenes reels at conventions in July (SDCC in 2015 and Celebration London in 2016). 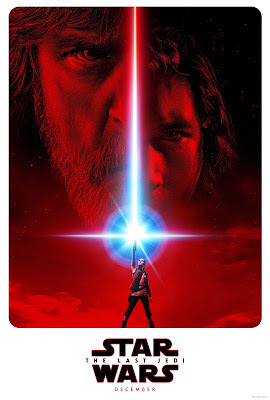 Based on that, it would seem we were due for a behind the scenes reel based on The Last Jedi at one of those conventions. That being said, it would not be an unwelcome change in tradition to have a full trailer instead of a behind the scenes reel this year. Given the proximity of the two conventions to each other, most people assume that we'll only see one major Star Wars preview and the general feeling was that this would be at D23. And even then, the assumption was that the focus would be on launching the promotion for the young Han Solo film (or even announcing the next stand alone film after it). That being said, it would be hard to imagine going through both SDCC and D23 without any sort of news about The Last Jedi. Even last year when Star Wars Celebration and SDCC were just a week apart, there was still a Rogue One costume display at SDCC despite the big Rogue One panel taking place at Celebration the week before. They have no inside info to say that it isn't a new trailer. They just *think* it isn't.